Musician Ed Sheeran arrives at the 2013 Billboard Music Awards at the MGM Grand Garden Arena on May 19, 2013 in Las Vegas, Nevada. Ed Sheeran's pair of classic jeans were a simple but cool choice for the music star. 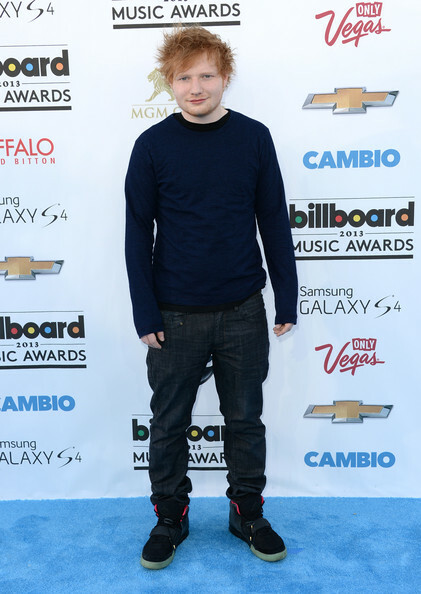 Ed Sheeran chose a dark navy long-sleeve crewneck for his relaxed look at the 2013 Billboard Music Awards.